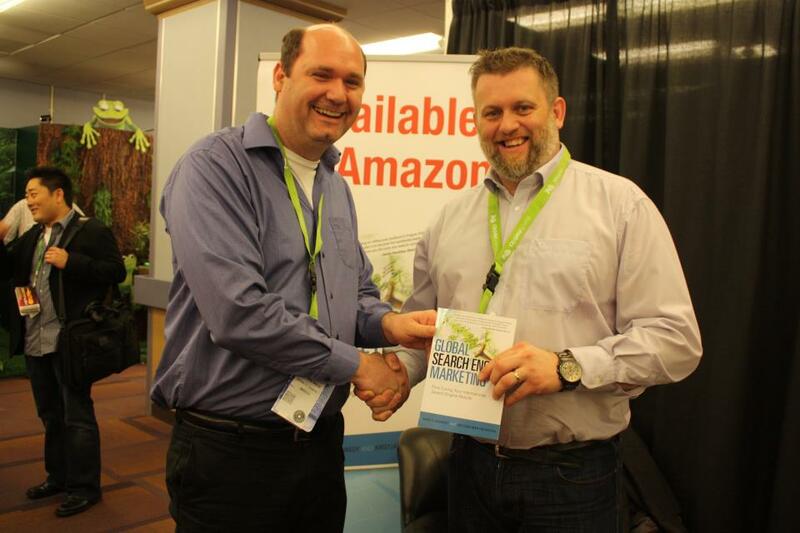 At SES New York a few weeks back I got a copy of the book “Global Search Engine Marketing” from Kristjan Mar Hauksson. His co-author Anne Kennedy wasn’t there, but I have known both of them for quite a few years now and I can tell you that these two know their international stuff. They travel the world, do business around the globe and have done global work, including some voluntary work at SEMPO. You can trust these two to write a book about International Search allright! The moment that Kristjan gave me the book was nice, because you could see how proud he was with the book. He had been working really hard on it and it had paid off. So off course I started reading the book with anticipation. Not just because I personally like Kristjan and Anne, but also because I am someone who has an ‘international hat’ on. I am Dutch, but focussed on search world wide. So this book might just be made for me! Find below my review of the book with an overview of what you can expect from it. The book is basically set up in two parts. In the first part the authors try to ‘learn’ us about International search: the why and how. In the second part of the book they are taking us on a trip around the globe where different countries are highlighted. The book starts with a chapter where the title says it all: Can you afford Not to think Globally? Asking the question is answering it: no. Even small local websites can have an international audience. In the book its stated that Comscore numbers show that 88% of people using the internet do not come from the US. Which means search is international. “The internet is dissolving borders for businesses” is what the authors state. The authors give us a lot of numbers which show us the importance of international search. If you didn’t know it was important and booming, you will know after reading the first few chapters. An in my opinion very important lesson that the authors want us to learn is the fact that optimizing for international search is actually more than just search, things that are also important for example are local culture, media selection in different countries and web analytics. 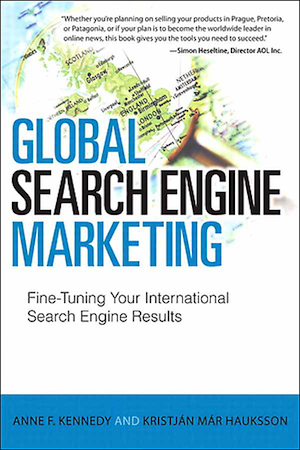 Chapter 2 of the book is a step by step guide for international search. It has different elements of what you should do in it. 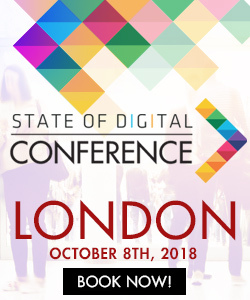 It starts with some common mistakes and then takes you into the route of optimizing your international search: setting goals, keyword research, Universal Search, local search and cultural elements, they are all discussed. Keyword research seems easy. But experience learns that even for their own language many marketers do it totally wrong. International keyword research therefore can be hell, simply because you don’t “get” the language: you might be speaking a language ‘fluently’ based on years of education, that doesn’t mean you understand the language people are using. The book talks about that and also talks about keyword research tools. Google’s tools off course, but also tools like “Keyword Discovery” are discussed. An interesting part of the chapter is the “using Google around the globe” part where the authors zoom in on the differences between Google domains across the globe. As a Dutchman I know: these are far from the same in every county. The book looks into the difference and how you can ‘tell’ Google where you believe your website belongs. After the important first part where you learn to understand why and how international search works on a larger scale, the second part of the book is all about zooming in on different countries and areas. They look at China, Hong Kong and Taiwan together and Japan, Russia, United Kingdom, Germany, South Korea, India, The Netherlands, France, Spain, Italy, Canada, Brazil, Mexico and Singapore individually. In groups they look at the Nordic countries, The Spanish speaking South American markets and the Middle Eastern and North African Countries. Each chapter is set up in the same way: a profile of the area online, looking at search media, the mst common mistakes, pay per click, organic search, Analytics and Public Relations and ending with some tips. Here you can simply pick your target country and learn from there. “The Dutch love a good deal, so be sure to make your offers and calls to action clear and appealing”. The book is very much focussed on those within the US trying to get world wide and who want to understand how search in different countries works. There is even a paragraph called “Your next customer may well find you online from outside the USA”, which indicates for whom this book is written. That however doesn’t mean that only US people should buy the book. But it does show that for the authors especially people in the US need the education when it comes to international search. But I wouldn’t limit the reader profile to US only to be honest. The book is especially good for webmeisters trying to understand what they are doing. 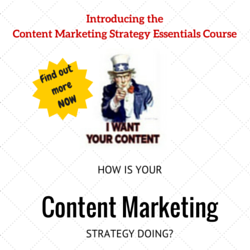 An experienced SEO should already be aware of the basics described in the book. That however I can tell you is not always the case. But even if you are experienced, its a good starting point when you are going global because a lot of data is gathered together in one place. Which on its own is worth buying the book. Bought the book myself a short while ago, digging in to it and liking what it’s saying a lot. Great to get country-specific tips as well, too often there is no ‘one-size-fits-all’ approach and this book definitely makes that point clear.